This article argues that the goal of achieving 100% renewable energy for every nation is not impossible. But to achieve it we must create two parallel dynamics: at society level, we must create a compatible culture for the efficient administration of the actual sources of energy and at the scientific level we must organise all sources of energies available while advancing future sources of energies. 15) zero-point or black energy. Judging from a historical perspective world total final consumption of energy sources has not changed in the last four decades or so. The consumption of oil, for example, has decreased: from 48.2% in 1973 to 40.7% in 2012. Natural gas has increased only one percentage: from 14.0% in 1973 to 15.2% in 2012. Even coal has decreased: from 13.7 in 1973 to 10.1% in 2012. Biofuels are almost on the same level: from 13.1% in 1973 to 12.4% in 2012. Only the consumption of electricity has changed almost twofold: from 9.4% in 1973 to 18.1% in 2012. But the total amount of consumption of energy has almost doubled: from 4,672 Mtoe (megatoe, one million ton of oil equivalent) to 8,979 Mtoe. Wold’s fossil fuel energy consumption is still very high: at 81%: 2013 (Wold Bank) or 95% (Spiegel). Transportation and manufacturing consume the biggest percentage of it: 60% and 30% respectively. From these parameters we can understand that global climate change has been caused not only by the increase of consumption in energy sources. But from the consumption of the same source of energy – the hazardous substances of it have been accumulated in our air, water and soil. But it is neoliberal globalization of the internationalised market economy that has caused the expansion of the consumption of energy: because it implies that the economies of the world will be relied mainly on foreign investments, transportation of goods and manufacturing rather than on domestic economic resources, in which, the transportation of goods would be reduced to unimportant levels, since communities would maximise the level of self-sufficiency by relying on their own resources. In the global economic growth, therefore, energy consumption, particularly the ‘transportation’, has played a vital role. If neoliberal globalization continues to expand and the transportation of goods continues to be the main factor of world economies, it implies that the growth for energy sources will grow together with the pain of the environment. The replacement of this kind of energy and consumption, therefore, is imperative: since it implies more accumulation of hazardous substances in our ecosystem. Measures like removing carbon emissions from our environment by using different technologies in a global scale (artificial leaf of trees dubbed “air extractor” etc. ), or politics of “carbon-trading”, are the same as the other technologies (collectors, sinks etc.) which aim at cleaning up our oceans from our plastics: namely, “non-causative measures”. Such technologies which capture carbon emissions in the atmosphere could be used in closed spaces like our rooms but not at global scale: not only because it tries to follow up our mess and it doesn’t fight the real causes of it but it is impossible. At a time when at a global scale is being emitted almost 40 million tons of carbon per year. In America, for example, there is being emitted on average fourteen (14) tons of carbon, per family, in a year, for transportation, goods and services, which, when combined with oxygen, create 50 tons of carbon dioxide gas (it increases almost fivefold! ), which in turn blocks the heat of the sun to escape into space and creates the conditions not only for global warming but it impairs more the life of those who don’t use any of those sources of energy. Namely, those who walk instead of using a car or bicycle. The transformation of 40 million tons of carbon into carbon dioxide gas, therefore, is about 200 million tons per year! Before examining, then, the possible substitution of this kind of energy and the consumption – we must first of all point out the advantages and disadvantages of them, in relation to each other, the overall cost of harvesting each source based on the present technology and the running cost. Second, we must examine the nature of them. And finally, we must outline a process through which our best sources could be realised. 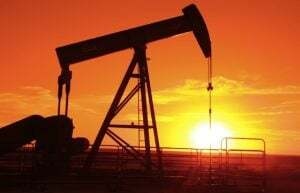 Thus, oil, as is well known, is the first source which can be extracted with low cost and has an efficiency that can cover the needs of those who use it. It is being used for more than a century and almost in every sector of the socio-economic life. Natural gas is almost the same as oil. But it has an advantage comparably with oil: it leaves less harmful substances in the environment while it is more harmful than coal and oil when it is being released directly into the atmosphere by emiting methane which is 30 times more potent than CO2. It has, also, another disadvantage: because natural gas can be used mainly for the manufacturing sector and for electricity. Transportation, therefore, remains at the mercy of oil. But shale, unlike natural gas, carries on a disadvantage: it destroys the environment (underground water etc.). Coal, on the other hand, is counter-productive since it is one the most pollutive sources of energy. As such, it must be completely abandoned. Nuclear energy, based on uranium, is almost green energy but it creates insecurities for the industrial plants despite the fact that China is trying to institutionalise techno-scientific “standards”. It can be used only for the manufacturing sector and for the production of electricity. As such, it cannot contribute to the transportation sector. Wind energy and solar energy are the main sources from which we may expect greater contribution. But they still can be used only for electricity, and therefore, only for the manufacturing sector and home appliances. Both wind and solar carry on another disadvantage: when there is no solar light there cannot be produced energy; and when there is no wind, occurs the same. To avoid this phenomenon the sector of energy has introduced batteries: but they have not the same efficiency as oil and new methods have shown that actual batteries cannot be improved. So, both, are dependent on another intermediate source of energy, which cannot be improved! Hydrogen, which has been introduced as an important source of energy — even a “green” source of energy and a possible substitute of oil and coal, abundant in the universe, is not a source of energy: since it actually uses more energy (presumably oil, coal and gas) to be produced in the process of separation the hydrocarbons from hydrogen and as such cannot replace oil and coal. However, researchers are in the process of putting it in the obsolete technology: a “nanosized hydrogen generator”, which uses light and graphene for production of energy, is one example. Hydropower carries on a lot of social, ecological and economic pain: as such, it must be completely abandoned. Geothermal energy is one source of energy which could contribute to the overall amount of energy. As such, it cannot replace them. Wave power is a promising source of energy and can contribute in the consumption of energy more than geothermal energy. Biogas must be extracted only from agriculture residues and human sewages and not by biomass (woods etc.). It can contribute to the consumption of energy and be used for electricity and transportation. Biodiesel can contribute in energy consumption but by a very small percentage. It depends on the oil used in the food industry. Ethanol depends on the agriculture sector and the energy used for the production of it is more than the energy it offers. Even if it uses less energy in the future it still requires land and land is precious, first of all, for food. Nuclear fusion is at an experimental stage and does offer some hope. If it succeeds – it can be used both for transportation and electricity. A distinction has to be made, here, with solar energy: nuclear fusion creates the “sun” in artificial conditions whereas solar energy uses the photons of the sun. In effect, it harvests ready energy or the final result of the sun. Whereas nuclear fusion goes to the starting phase of the sun: namely, to create an artificial sun able to be administered and used by humans. Lastly, and the most important source of energy, is “black energy”. Almost 95% of the universe is “black energy” (plus “dark matter”). The rest (5%) is “regular matter” which could be seen and perceived by our senses. 2. energies which are temporary in our universe and our nature. In the former category (eternal) is “black energy”. Earth and our solar system belong to the “regular matter”. But it has been mastered by our universe – just as has been mastered the life of our planet by our Nature — although dynamics of the universe are always present on our planet. Without the former the latter sources cannot exist. This is why we must concentrate our efforts in developing the former category: to discover its nature and use it for our life. Black energy, as its colour implies, is dark in our eyes. But it counter-vibrates with regular matter. Black matter is the same but it implies greater density of “matter”. 1. Black energy/matter is best source of energy: because it is eternal and everywhere. b. nuclear fusion, which is in the process of instituting itself. 4. The forth best energy is biogas. It can compensate our consumption and is an important source of energy: because it would push societies to use their own sewage, instead of polluting our waters and soil, and make use other agriculture/animal residues. The use of them would be fruitful for any society. 5. Wind power is the fifth best source of energy provided that it protects our birds. The protection of our birds can be realised by using electronic sensors on top of turbines, which could detect any bird in the air and stop its rotor blades while starting slowly in case there are resting birds. 6. Hydropower is the sixth best source of energy provided that it has been reconceptualised. Namely, it protects fishes from turbines when they descend and help them when they ascend to lay eggs in the water: by creating a parallel route for descending and ascending. Otherwise it must be completely abandoned and reintegrated into the ecosystem. Namely, dams of hydropower must let the water and its life flow freely in our planet. 7. The seventh best source of energy is nuclear power provided that its plants are being completely secured against mismanagement and natural phenomena (earthquakes etc.) and its nucleus (uranium) of energy is being used completely and is not a source of pollution in our environment. 8. Natural gas is the eighth best source of energy provided that it does not cause any damage into the environment (capillaries of water etc.). 9. Hydrogen is the ninth best source of energy provided that its technology uses less energy for production and hydrocarbons are being used for industrial purposes. 10. Geothermal is the tenth best source of energy provided that it does not cause any damage into the environment as in the case of natural gas. With the latter, it has a disadvantage: it can be used only for electricity and heating. Whereas natural gas for transportation as well. 11. Biodiesel is eleventh best source of energy but it depends on the food industry (vegetable oils and animal fat). 12. Ethanol is the twelfth best source of energy but it depends on our agriculture (corn oil etc.) and land. 13. Oil is our thirteenth best source energy. It could be at a better place if our technology eliminates its harmful substances. 14. Coal is the last and worst source of energy. Now, we must analyse further the two top best sources of energies: black energy/matter and solar/ nuclear fusion; their potentionality and inter-relations. The first one must be understood in relation to energy, matter and gravity: because each cosmic particle carries on not only energy and matter or an equal amount of them, but an equal amount of gravity as well (e=m=g). For particle that carries on energy and matter produces gravity as well not only in relation to another particle but to itself too. Therefore, this kind of energy and matter must not be seen in relation to light, as has been seen by Einstein: but, first of all, in relation to gravity, since black energy/matter carries on gravity. And gravity is a force that changes the nature of energy and matter. Anti-gravity technology therefore is the best approach of harvesting this kind of energy: because it uses it while opposing it with the same force, just as our planets do to each other. Light, after all, originates from regular matter and energy. As such, it belongs to the second source of energy and matter. Solar energy and nuclear fusion, as pointed out above, are not the same: in the former case we use its final result: light. In the second case we use its originative source: nucleus of atoms and produce electrons and, electrons, in turn, energy. Judging from what has been done in producing energy from fusion power —that is, accelerating at supersonic speeds atoms in order to collide them in big colliders— and judging from the proto-conditions of the sun —that is, hydrogen, helium and other elements, plus gravity— clearly, we are not creating the same conditions. So if we want to produce energy from fusion power we must create the proper conditions of the sun. The fact that the sun has created big pressures at the core of it, and pressure is accompanied with the same dose of gravity, and gravity keeps together the composition of the sun, and its composition in turn reproduces energy and power, indicates that we must master the use of sun’s elements by accompanying them with the proper pressure (not speed) on the elements involved in this process, which, in turn, would produce gravity and the whole —elements, pressure and gravity— will be self-sustainable and self-reproducible even at a small scale: namely, for our cars, trains and spaceships. This is one option; the other, is to have solar energy without using batteries and with greater efficiency. For this we may use satellites for concentrated solar power in the orbit of our earth. Out of earth’s atmosphere we know that the quantity and the quality of the sun light, is better. Solar systems that use lenses or mirrors on the surface of our earth – in earth’s orbit would concentrate even more energy. To avoid the lack of the sun during the night and cloudy days, and the rotation of any satellite, two or more systems of this kind, might be complementary to each other. So, when a system is at the back side of the earth, namely, travelling in the night side of it, another one, travelling on the other (day) side of the earth, might do the job of the other. Such solar systems might send controlled beams of energy into generators installed on the surface of our earth and generators in turn, might produce continuous power of electricity. If such a system is possible – we might cover our needs in our homes, factories and part of our transportation. Solar energy might be harvested on the surface of the earth even by producing human cloths which might work as solar panels in clothes fashion. The kind of energy that is produced through our cloths might be controlled by electronic devices and might cover human needs provided that they do not harm human and nature’s health. ii. or letting them in the dynamic of the market economy. This one might be considered an “option” because even the market economy, or they who invest in it, have understood that the future of energy is “green energy”. But it will take long time and the damage in the ecosystem will be irreversible. So the first option is not simply an option: but an imperative need. This option implies a closer cooperation with those who want to invest in renewable sources of energies, scientists and governments of the world particularly the United Nations. This article is the end part of a chapter with the following title: “The deception and the crime with mega-projects and technological energy: towards a techno-energetic revolution”. It was submitted for publication to “Global STM Journals, Renewable & Sustainable Energy Journals, Elsevier Ltd”, after the latter published a ‘challenge’ by inviting independent researchers around the world for independent contributions to renewable energy resources particularly to solar energy. As it rewarded the winner – or the best work, my article was not included even in the top ten of almost 300 contributors! Possibly, because I aim to develop mainly, for the reasons given in my paper, fusion and dark energy, rather than solar energy as it has been realised and as the relevant centre aims at with its sponsors. This is a contribution for humanity and those who push it forward will be part of human history and rewarded by our future generations.